SHTF Mystery Survival Gear Monthly Subscription Box - PRO | BUDK.com - Knives & Swords At The Lowest Prices! You want survival and prepper gear but don't want to have to constantly scour our catalog looking for the best stuff? 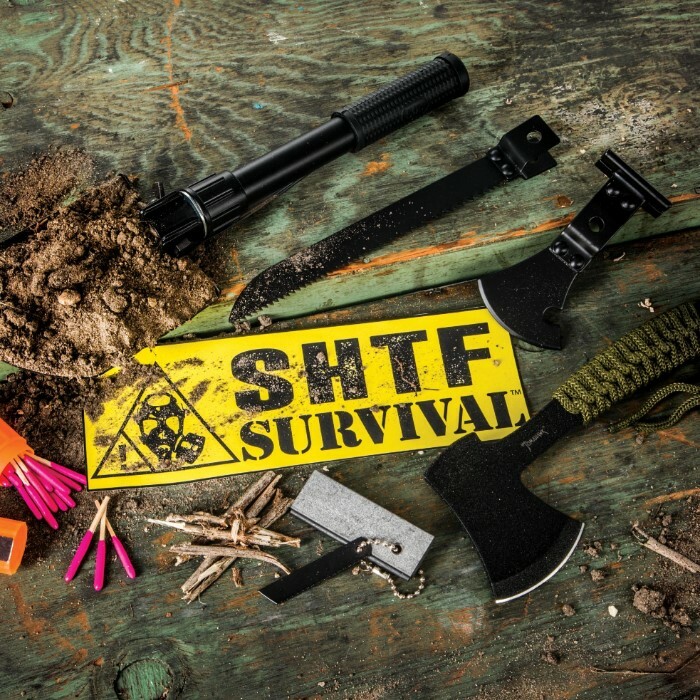 Sign up for our SHTF Mystery Gear PRO monthly subscription for only $49.99 per month. 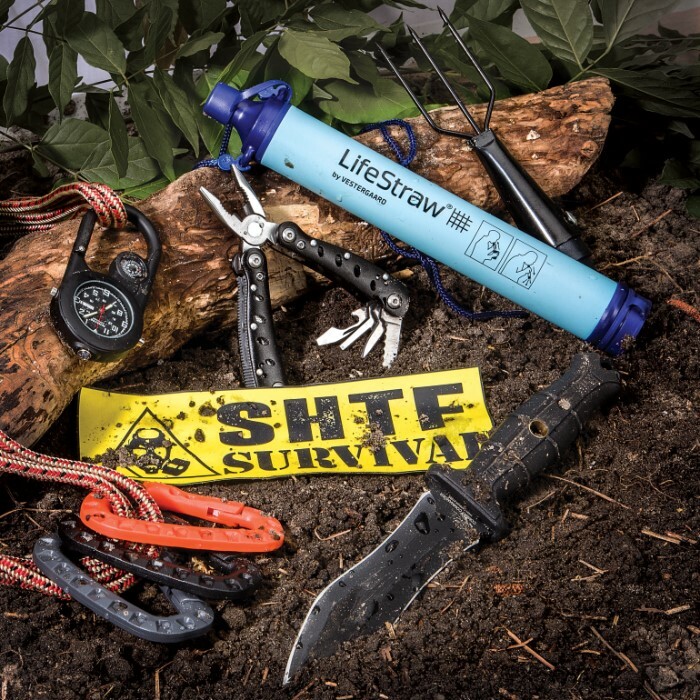 You'll be delivered everything in the primary level SHTF Gear box, plus more higher priced gear at a guaranteed value of more than $80 for all of the gear you'll receive. Do you like knives and other cutting tools? You're going to get some! 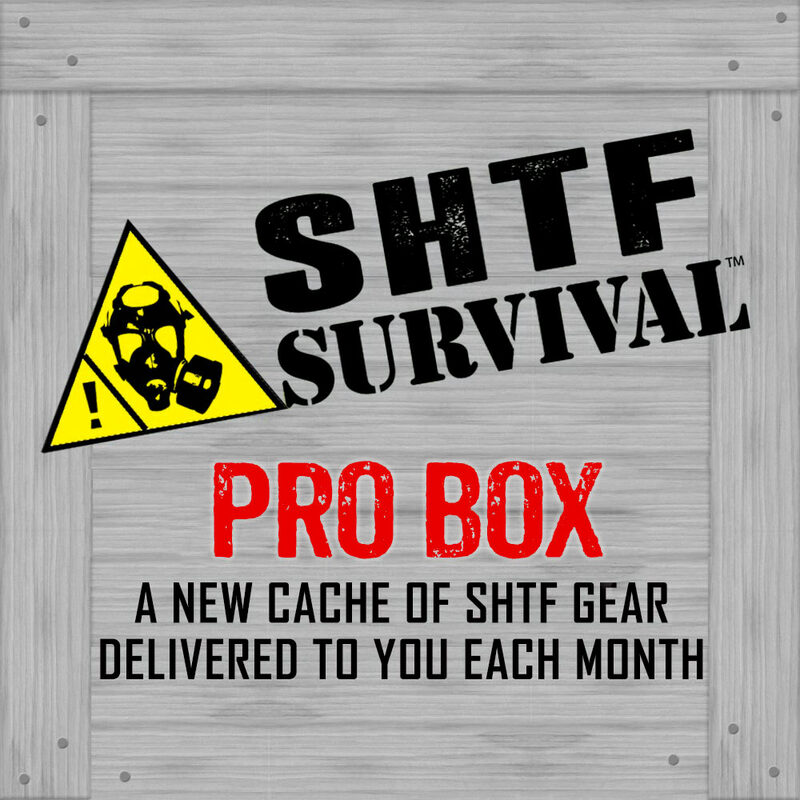 Each month you'll be conveniently mailed another box with no work searching through the internet for the best survival gear ever again! And if you ever decide you don't want the most awesome deal in survival gear ever, you can cancel at anytime in your MyAccount page. Another great shipment of gear I can really use, thanks BudK! A siphon, a hat, a glove, a pen, bungee cord, tourniquet, machete, edible plants booklet, utensil tool, coarse fine carbide ceramic...cancel my subscription. i got a handheld crossbow (really fun but the back of the arrows "feather part breaks easily because its plastic"), a tomahawk which is very sturdy, a nice fixed blade knife, kale seeds, a magazine, teriyaki chicken and rice, and a boobytrap booklet (kinda useless because it involved explosives which civilians have no access too), and a keychain bottle opener/screwdriver which seems like it will come in use a lot. i will let it go month to month basis and as long as i don't get a boring box i will keep it coming. the $10 shipping is a negative. In the pro series/The 50.00 one I received a cool looking hatchet,some pocket knives that have have held up good through 3 months of normal use calorie bars ,Bowie knife an a combat knife. I also got camo baby wipes ,emergancy fishing kit that was mangled . Got to buy new line for it. My only Con. Auto fishing reels,parameters cord and a Thin blue line flag I gave to my son to put on his flag pole ,also got a Vietnam tribute pocket watch. I know I'm missing something but I'm not cancelling my order anytime soon.